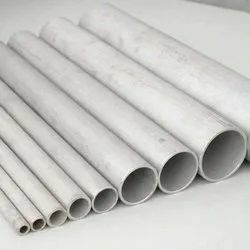 Providing you the best range of duplex 2205 pipes, duplex 2507 stainless steel and stainless steel hose pipes with effective & timely delivery. Duplex 2507 is a Duplex Stainless Steel designed for applications which demand exceptional strength and corrosion resistance. Alloy 2507 has 25% chromium, 4% molybdenum, and 7% nickel. This high molybdenum, chromium and nitrogen content results in excellent resistance to chloride pitting and crevice corrosion attack and the duplex structure provides 2507 with exceptional resistance to chloride stress corrosion cracking. 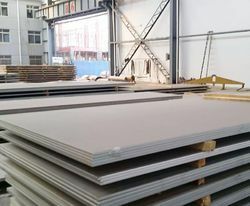 Usage of Duplex 2507 should be limited to applications below 600° F (316° C). Extended elevated temperature exposure can reduce both the toughness and corrosion resistance of alloy 2507. Duplex 2507 possesses excellent mechanical properties. 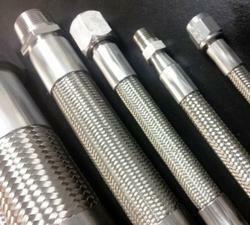 Often a light gauge of 2507 material can be used to achieve the same design strength of a thicker nickel alloy. The resulting savings in weight can dramatically reduce the overall cost of fabrication. WE ARE THE STOCKIST.WE DEAL IN WIDE RANGE OF STAINLESS STEEL PRODUCTS.WE DEAL IN GRADES SS304/SS316. Looking for Duplex Stainless Products ?